The Workforce Unlimited Boston and District Saturday Football League is seeking a Football Administrator to fulfill the position of league secretary from next season. Whilst a background in football is not necessary, it is essential that interested persons must be computer literate. This position does attract a honorarium. The Workforce Unlimited Boston and District Saturday Football League is the largest male open-age Saturday league in Lincolnshire, with more than 50 teams. 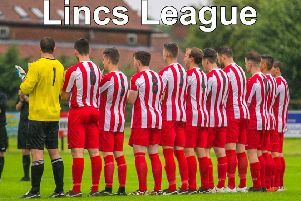 Interested persons should write to the league chairman Roger Gell at 14 Ash Drive, Kirton PE20 1XQ or email roger.a.gell@googlemail.com or telephone 01205 723381 for further information. The closing date is Friday, March 9.